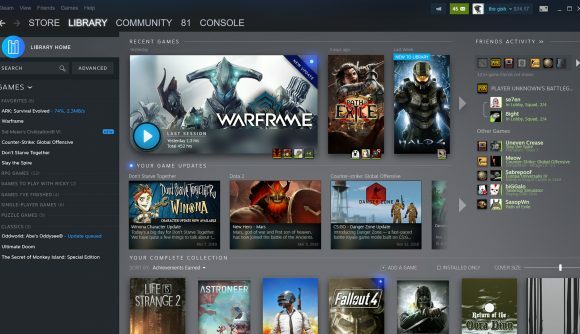 At GDC this week, Valve finally showed off the newly reworked Steam library, one of the biggest chunks of the long-awaited Steam UI redesign – though it doesn’t bear a lot of resemblance to those old leaks. 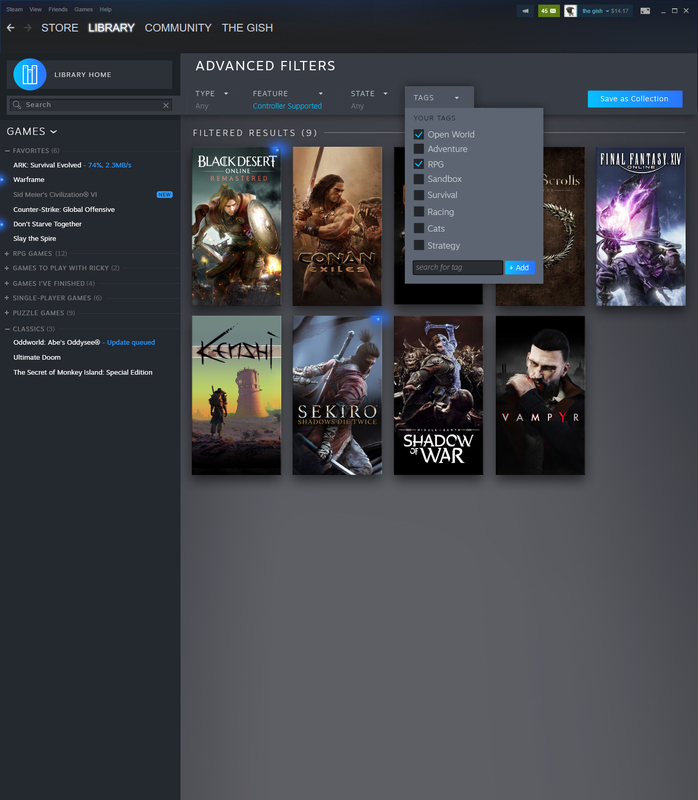 The new library appears to provide all the functionality of the old one, but it now does a better job of showing which games have recently been updated, what your friends are playing, and gives you more ways to sort and search through the games you own. 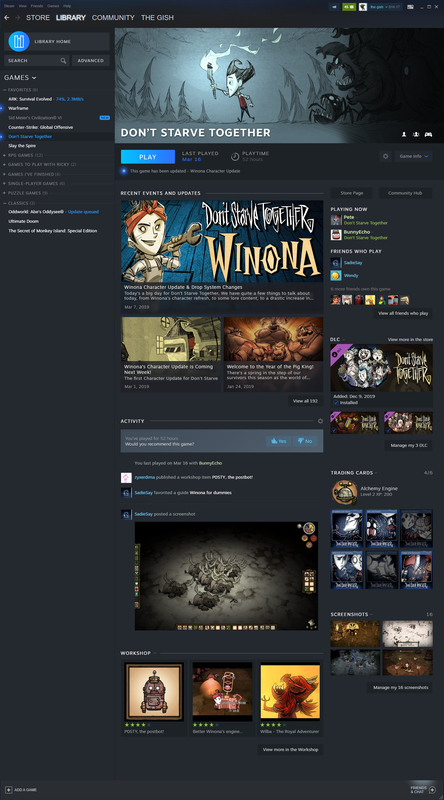 You’ll now see recent games at the top of the page, as well as which of your friends are currently playing them. 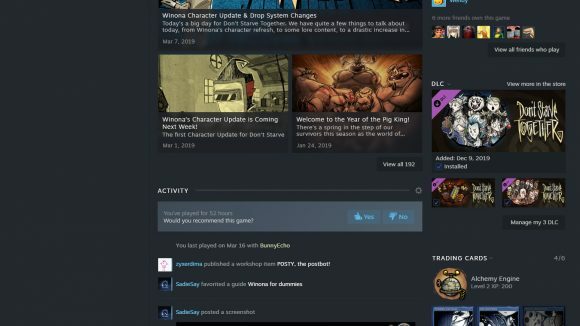 A further friends activity panel on the right will provide more detail on what games your friends are playing – and which friends are in-game. 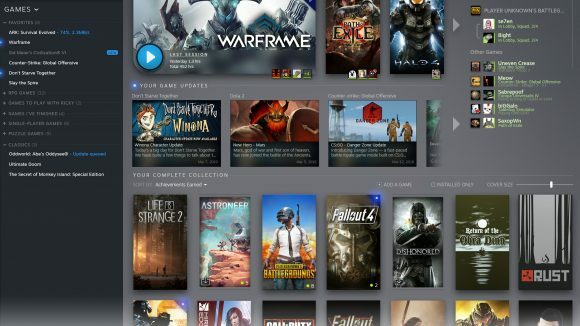 Below that, you’ll see games that have recently been updated, along with brief blurbs on what those updates entail. 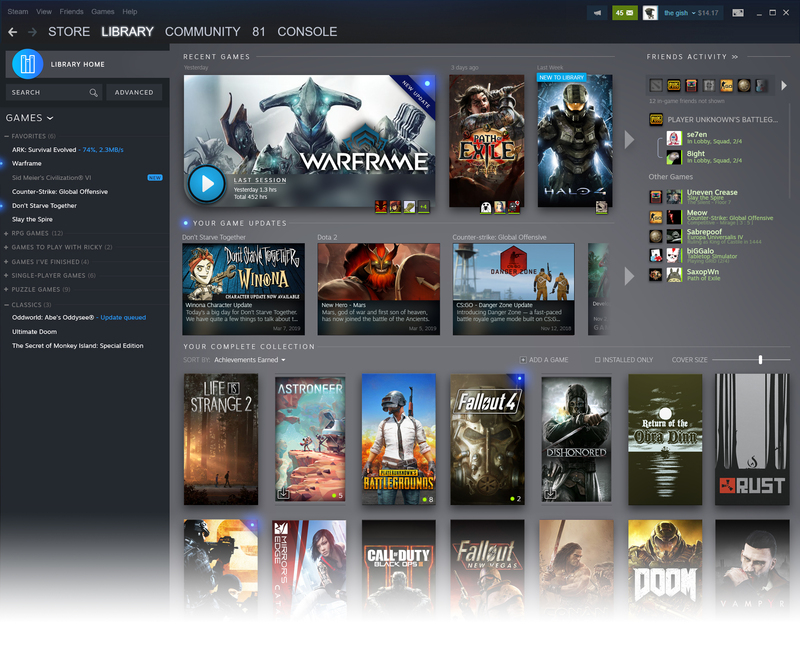 Then you can see your complete collection, but even here there are changes. 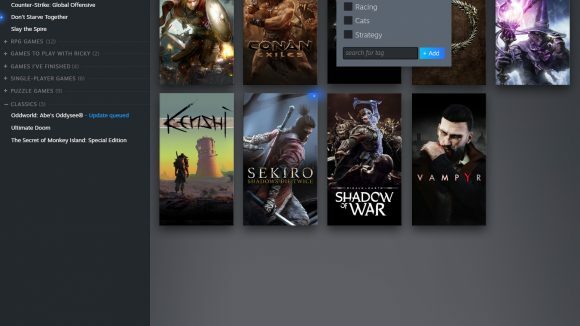 You can now take advantages of the tagging system used in the Steam store to search through your games, and you can now sort your library by more varied types of categories, like achievements earned. 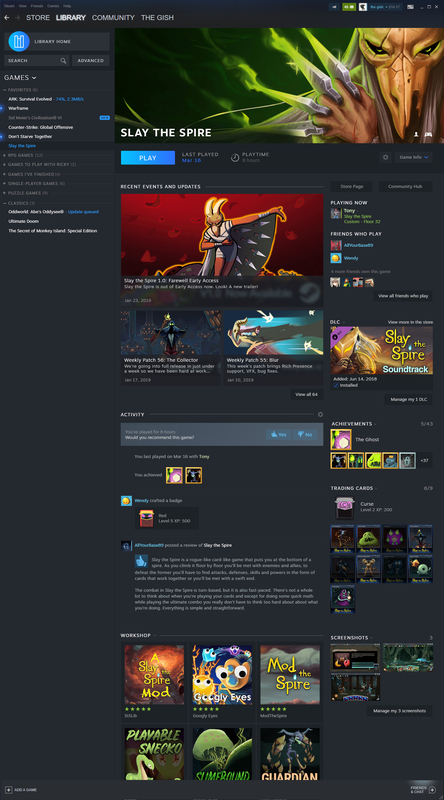 Individual game pages are also changing, and though familiar summary bits like playtime, achievement stats, and purchased content are still available at a glance, they’re now more conveniently visible around the sides of the page. 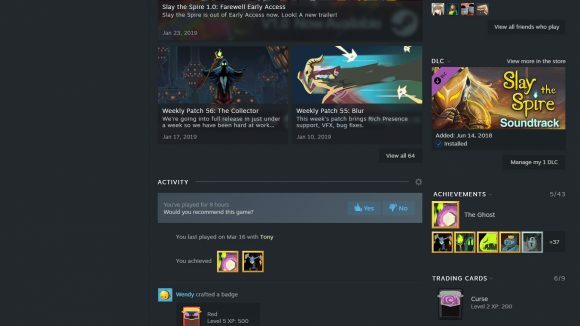 The previous news section is getting revised as a selection of recent updates and events – the latter of which ties into the new event system Valve is implementing for developers to promote their in-game events. 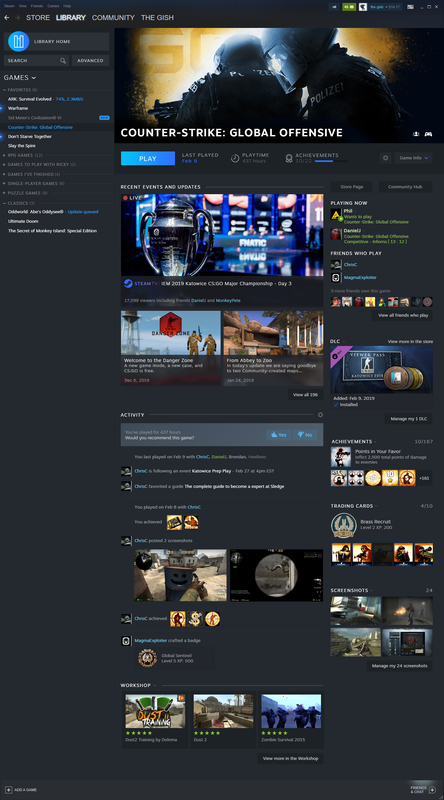 Then the page finishes out with a new activity section that shows related content from your friends like screenshots and achievements, similar to what you might see on a modern console front-end. 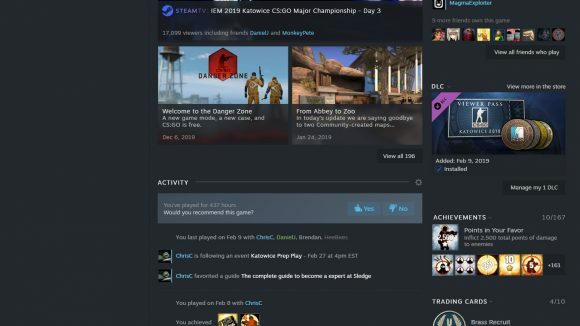 Valve hasn’t put a date on this next step of the UI redesign just yet, but given the implementation of the event system – which is due for open beta in a “couple months” – it’s likely this release will have to come some time after that.